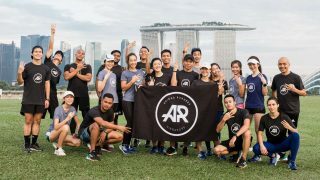 RunSociety is the first online magazine dedicated to Singapore's and Asia's running scene with a core focus on events, news and product-driven reviews. It aims to offer objective insights into the nuances that hold this fast-growing community together, promoting sporting values and elements of runner-camaraderie that forge higher standards for the sport. 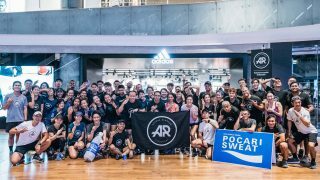 RunSociety is reaching out to more runners to join the family and we’re definitely keen on inviting folks from the community to join us and contribute to the running scene. As long as you have a passion for running and would love to share it with the community, we welcome you. We don’t require you to have any experience as an established writer or blogger. However, if you have a blog or some sample pieces of work, do share it with us. We are interested in forging long-term collaborations with our guest writers. However, it’s fine if you cannot contribute on a frequent basis. If you can’t think of anything to contribute, you still can write in to us to say 'Hi'. We love to make new friends! 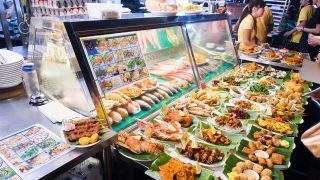 Each guest writer will be acknowledged with a prominent profile on RunSociety linking back to your online credentials, i.e. Website, Facebook, Twitter. The opportunity to receive discounted or free entry to running events, when available. Real-life Stories and Personal Experiences - If you have been travelling around to take part in overseas runs, we would love to hear your stories. Product Reviews - We receive a fair range of gear and shoes from our sporting partners constantly. That said, we need experienced runners to try them out and produce unbiased reviews that can be shared with the community. Tricks and Tips - If you have an effective secret training formula or running tips that you wish to share, we have the audience willing to listen. Interesting Inspiration - Have you discovered a new running route or stumbled on some cool and unique running products? Don't keep it to yourself, share with the community. 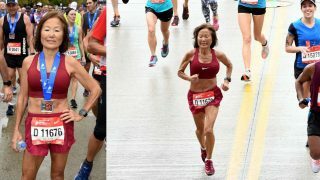 Professional Insights and Analysis - If you have ground breaking news and research to enlighten the running industry, we can help to create awareness within the community, though all articles have to be supported by credible sources. If there are other future pointers or suggestions that you think might suit RunSociety or aren’t sure if the article/information you’d like to share is suitable, please do not hesitate to contact us.